So one of the great projects I get to work on is a monitor for water pumps. 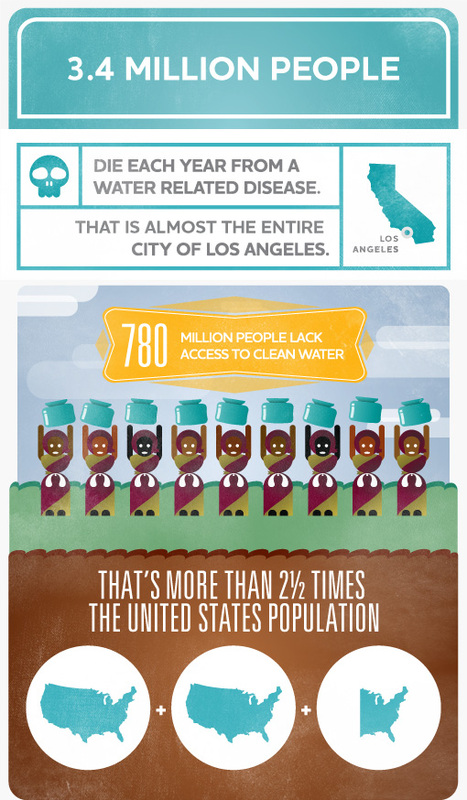 This is an amazing (to me) graphic from water.org: Credit: water.org (http://static.water.org/public/01_water_2012.jpg) 780 million!!! That's ridiculous (and not in the funny way)! Something needs to be done about this. Here at the Technology Center, we've begun partnering with great organizations, to help them bring clean, safe drinking water to the people who need it. Our focus is to make sure that the water supply is: a) reliable b) accountable We've developed a low-cost, satellite-based monitoring system. We can see, hour by hour, whether the pump is working, and how much water it is producing. If somebody has the heart to install a water pump for a community in need, we can give them the data they need to tell when it is operating properly, and when it is broken, when it needs more capacity, and when it's *starting* to show issues. These all help make sure that the system is *reliable*, that the community can use it and count on it to provide them with the safe, clean water they need. If somebody has the heart to sponsor a water pump for a community in need, they can see when it was installed, how well it's operating, and how many families it serves. They can see how many litres (or gallons) of water the pump has produced in the last day, week, year, etc., and the average cost per gallon for the project. These projects aren't cheap: the most recent installation was over $250 000. That sounds like a lot of money because it is. But: In the few short weeks since it was installed, the average cost per gallon has dropped to under $1. $1 for almost 4 litres of clean safe drinking water is a great price! Over the estimated lifespan of the pump, we'll see that number drop to less than a penny per litre!!! That's fantastic! And totally worth the investment!! You can check out a sample community here: sonsetwaterlink.org/water This is our site for supporters and charities to log in, and monitor the pumps. The data you'll see is *actual* data from an *actual* community. To protect the privacy of the community, we won't tell you where it *actually* is, and we've anonymized the data. Nonetheless, it will give you a decent sense of what we're up to. While doing some research at work today, I came across this: http://hunger.cwsglobal.org/decisions/index.htm Very thought provoking and sobering. I'm keeping this in my back pocket for an ice-breaker or group activity in the future. Just wanted to share, in case you could use it too. Driving to work this morning a Matthew West song came on the radio, and the lyrics hit HOME. This to why we are here. And it was a perfect reminder for me. Tom and I have always said, if those who are willing and able don't do something, then who will? We are so thankful for the opportunity to do something. And we are so grateful for all of our supporters who are doing something by sustaining us! Here are the lyrics to the song, and below is a link to a video by Matthew West. The video features a young woman who also stood up and just did something.